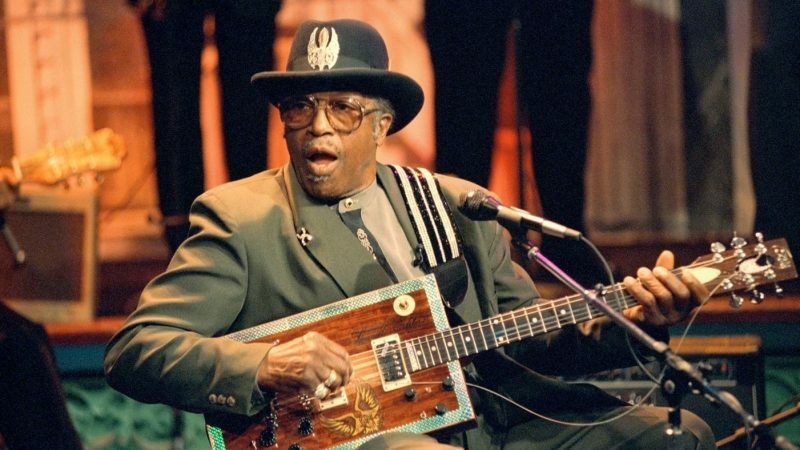 June 2, 2008 – Bo Diddley was born Ellas Otha Bates, later becoming Ellas McDaniel on December 30, 1928 in McComb, Mississippi. He was adopted and raised by his mother’s cousin, Gussie McDaniel, whose surname he assumed. In 1934, the McDaniel family moved to the South Side of Chicago, where he dropped the Otha and became Ellas McDaniel.